In other words, we were off by 90 pages. So sue us. Note. Please don't sue us. We'd tell you that it doesn't get any better than that, but guess what: it does get better than that. After you've done an initial search, you can "refine" the search results. That simply means you can limit the search to a specific part of the Education Center. 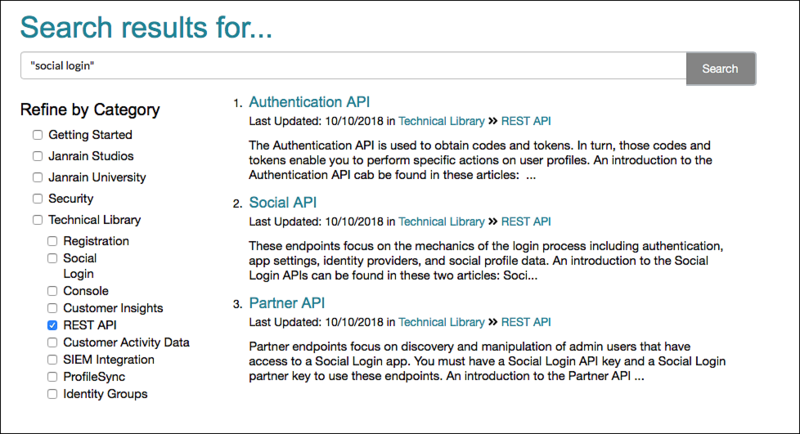 Only interested in instances of social login that appear in the REST APIs section of the site? 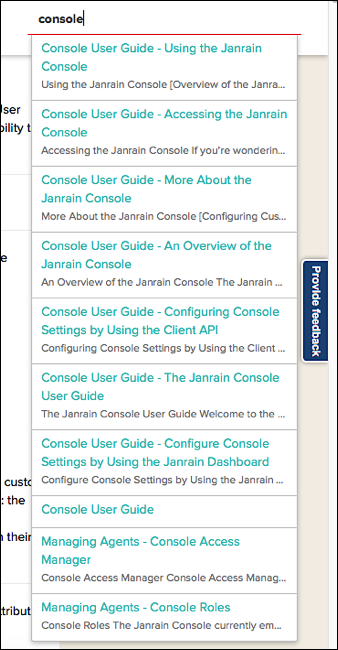 Then select REST APIs and see what happens. 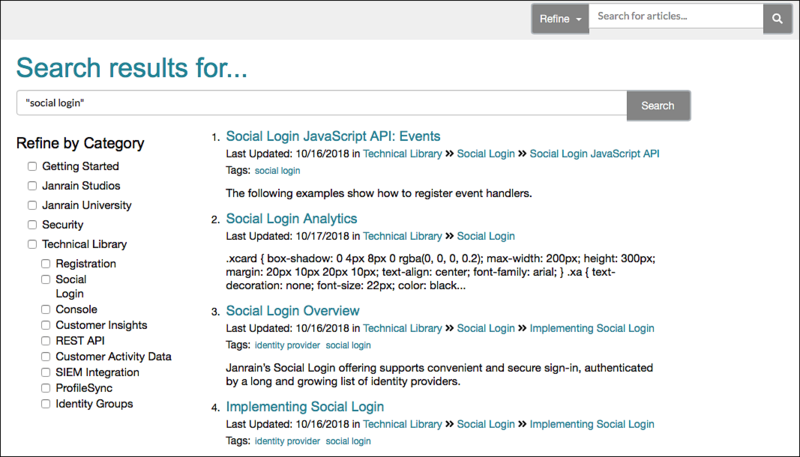 In other words, we've limited our search results to instances of social login found only in the REST API category. It does bring a tear to your eye, doesn't it?